Jenny Dalgliesh felt a lump in her left breast and visited the family doctor who in turn referred her to the local radiology practice. A mammogram was inconclusive and so the radiologist performed a biopsy and sent the tissue off to the pathologist for analysis. Adam, Jenny’s husband, was present when she received the pathologist’s report and he scrutinised her face, wondering if the result was serious or not. 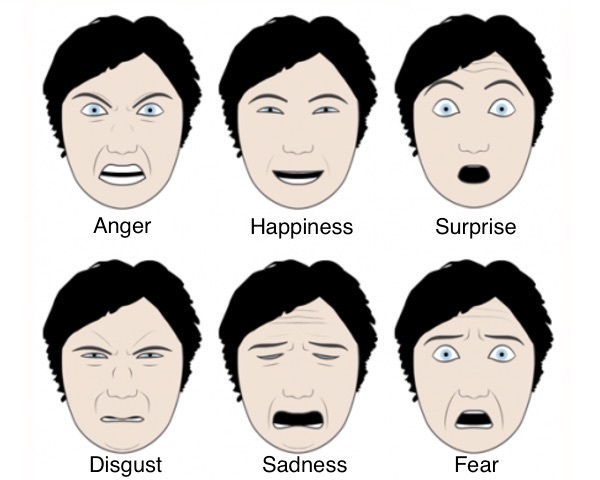 According to a long-held assumption in psychology, Jenny’s emotions should have fallen within one of just six categories: anger, happiness, surprise, disgust, sadness or fear. As part of the study, the subjects – who were demographically diverse – viewed a selection of 5- to 10-second video clips that were intended to evoke a range of emotions. The silent videos included diverse topics such as death and suffering, spiders and snakes, sexual acts, natural disasters, risky stunts and babies. The participants were placed in three separate groups, where group one freely reported their emotional responses. Group two ranked each video according to how strongly it elicited emotions such as admiration, anxiety, envy, surprise and triumph. When Adam Dalgliesh studied his wife Jenny’s response to the pathologist’s report, he witnessed a range of emotions: anxiety, empathetic pain, interest and relief. The lesion was benign. No one who has ever been diagnosed with cancer can fully comprehend the range of emotions involved. At the age of 61, I was diagnosed with an invasive prostate cancer. It was 100th of a millimeter from the capsule, intent on killing me. Fortunately I am one of the lucky ones! Here I am in my 88th year prostate cancer free. I was a basket case, and my Texan front office manager told me to “chill out!” Excellent advice which I eventually did! When a woman is diagnosed with breast cancer, no one can fully comprehend what this devastating news does not only to her, but her loved ones. As far as breast cancers are concerned I have been on a crusade for the last 10 years to try and help women young and old find breast cancers early. This is quite a challenge, but as we speak, I’m hoping Prof. Kit Vaughan and Harvard Radiology Professor Daniel Kopans will liaise to produce a mammography machine that will ultimately be able to detect 95% of all breast cancers in women, with or without dense breast tissue. At the age of 87, the last item on my bucket list is to live long enough to see the day the 3D-ABUS mammography machine becomes a reality.